The No. 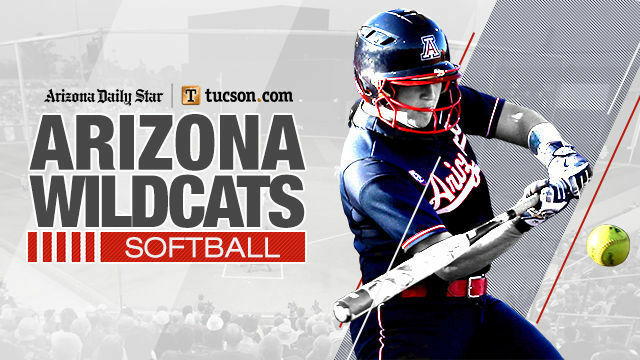 14 Arizona Wildcats softball team shut out No. 20 Oklahoma State 3-0 on Friday to open play at the Mary Nutter Collegiate Classic, then beat Long Beach State 12-3 for a nightcap in Palm Springs, California. The Wildcats' doubleheader Thursday against Missouri and UC Santa Barbara was rained out, but UA will make up its game with UC Santa Barbara (3-5) at 9 a.m. Saturday in the first of three games. Arizona (7-4) will play No. 4 Oklahoma (10-1) at 11 a.m., and take on the Japan national team in an exhibition at 1:30 p.m.
Taylor McQuillin (3-3) threw her second consecutive shutout with a two-hitter in the win over Oklahoma State (10-4), striking out 10. It was Arizona's second win over a ranked team this season after beating then-No. 19 Michigan to open the season. Malia Martinez and Rylee Pierce had RBI singles for the Wildcats. In the second game of Friday's doubleheader, Arizona plated four runs in three different innings on a season-best 15 hits to beat Long Beach State (5-6). Jessie Harper went 3 for 5 and hit a team-best sixth home run. She led the Wildcats with four RBIs. Reyna Carranco (2 for 5) and Alyssa Palomino-Cardoza (2 for 3) each knocked in a pair of RBIs. Palomino-Cardoza also drew two walks. Wildcats junior Alyssa Denham (4-1) earned the win by pitching four innings and allowing three runs on five hits. She struck out five and walked one. • Where: Palm Springs, Calif.
• Schedule: No. 14 Arizona (7-4) vs. UC Santa Barbara (3-5), 9 a.m.; Arizona vs. No. 4 Oklahoma (10-1), 11 a.m.; Arizona vs. Team Japan (exh. ), 1:30 p.m. The Wildcats suffer their first loss of the season in the opener of a series in Houston.